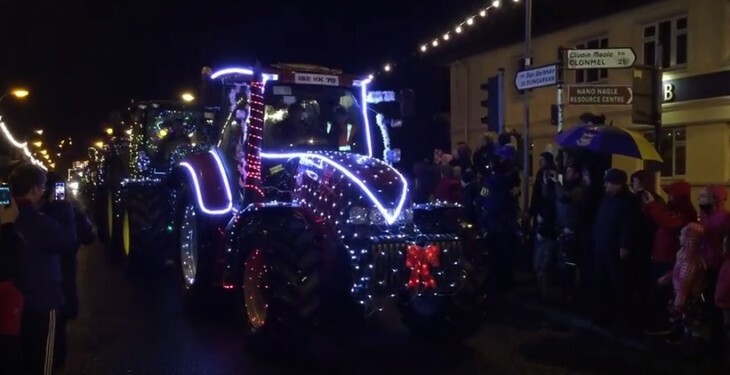 Some 21 tractors equipped with 39,000 lights recently drove through the town of Carrick-on-Suir in Tipperary recently. Stuart Downie, the main organiser of the event, said that this is the second year of the tractor run. “A friend of mine went to see the Coca-Cola truck and he was disappointed with it. He said that his tractor would look better with lights going down the main street. “It grew from there really. This year we had 21 tractors and one lorry,” he said. 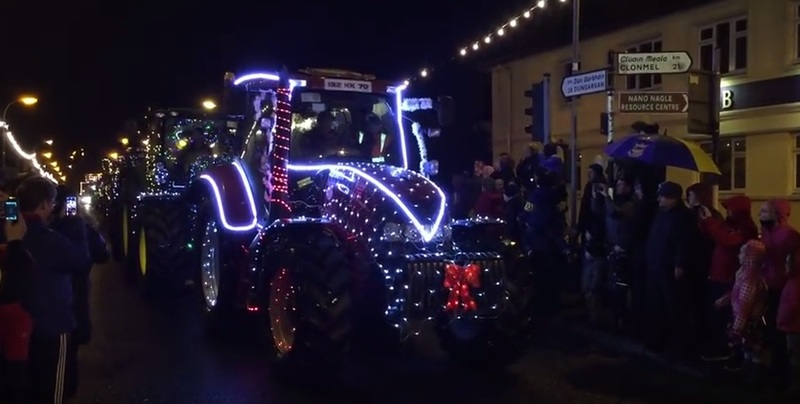 The video, recorded by The Tudor Artisan Hub in the town, shows the tractors parading down the main street in the town with lights all over the tractors. Downie said that there was a crowd of 4,500 last year but that it has grown to 12,000 this year. 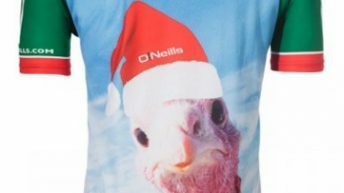 There’s been a crazy reaction to it, we plan on going bigger next year. Tractors on the run included Case, John Deere, Valtra and Claas. Downie said that they broke the record the Coca-Cola convoy held for having the most lights. “The Coca-Cola convoy had 30,000 lights, we had 39,800 lights,” he said. There was a bucket collection at the event for Embrace FARM and donations are still coming in Downie said. Norma Rohan of Embrace FARM, said that the support network is delighted to see the farming community supporting Embrace. 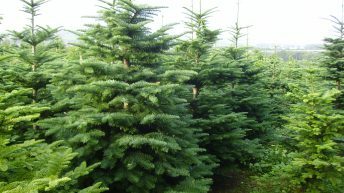 Looking for a real Christmas tree? Then look no further!